The Jander Group, Inc. offers quality homes for sale. We make the purchase process easy and simple and promise to be straightforward and honest in all contract negotiations. 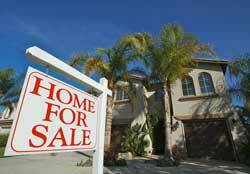 Almost all of the home that we sell have been managed and maintained by The Jander Group, Inc. This is great news for potential buyers since we keep our homes in excellent condition and very seldom have many items return on buyer inspection reports. Our sellers/investors share in your happiness with the sale for it is normally very stress-free! Please view our available properties for sale below.